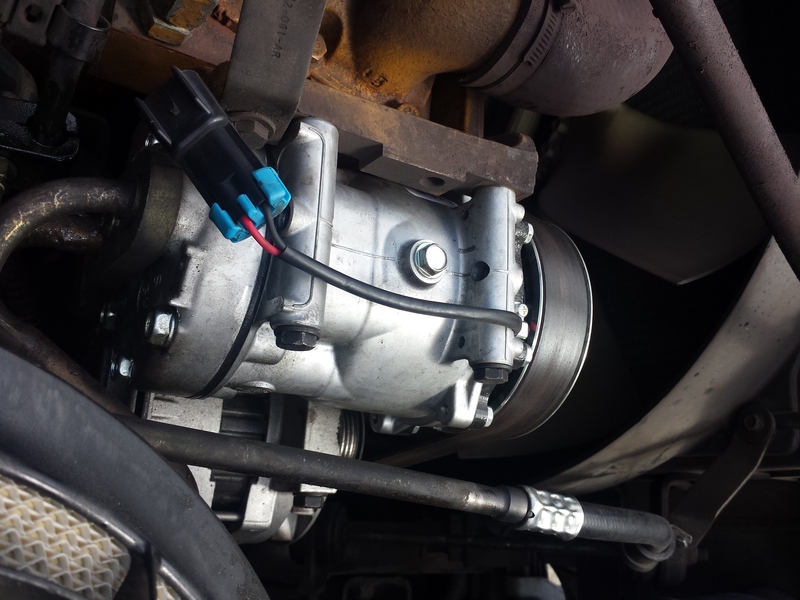 This 2005 Freightliner M2 came in to our shop with extremely high head pressure. 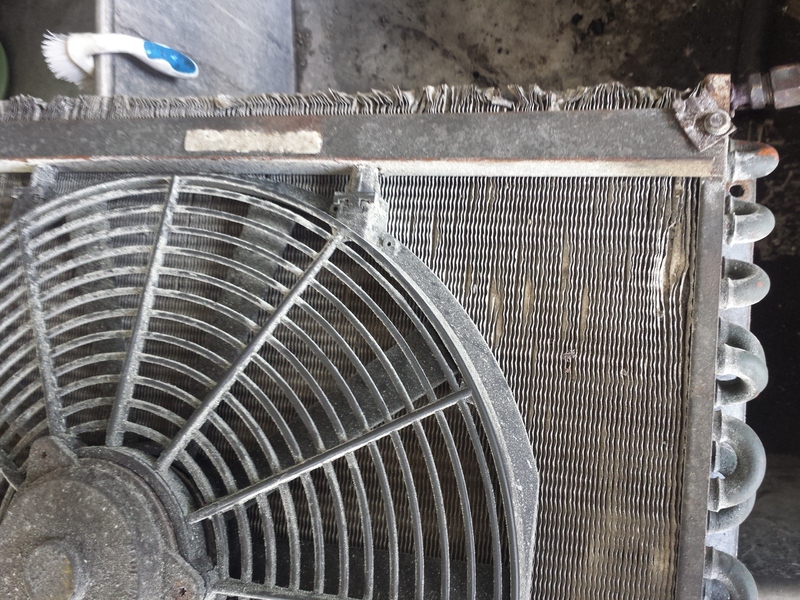 The customer told us that he previously had a leaking shaft seal on his compressor. 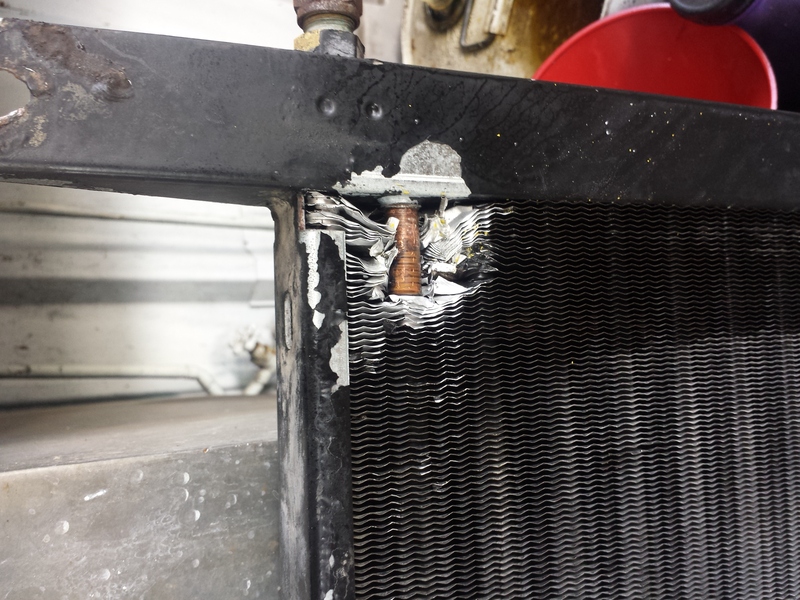 He had just installed a new compressor and upon charging the system, he immediately had a head pressure problem. He was scratching his head trying to figure out what went wrong. 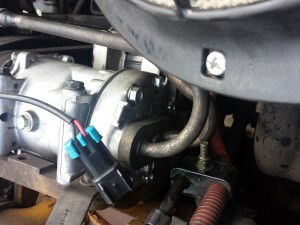 Upon inspection, we found that the suction and discharge manifold line assembly had been installed backwards! The suction side was connected to the discharge side of the compressor and discharge to suction. Since the fittings on the compressor were the same size, this was not hard to do. 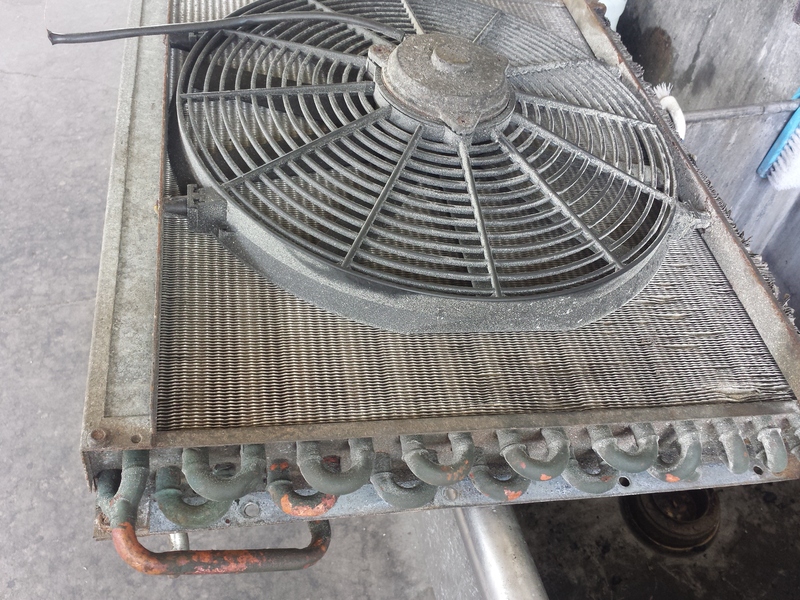 We removed the refrigerant from the system, installed the line properly, and vacuum & charged the system. We ran the system and pressures were good. Luckily, it hadn’t destroyed his brand new compressor. Sometimes you are better off leaving your repair in the hands of a professional. That little mistake could have been very costly! 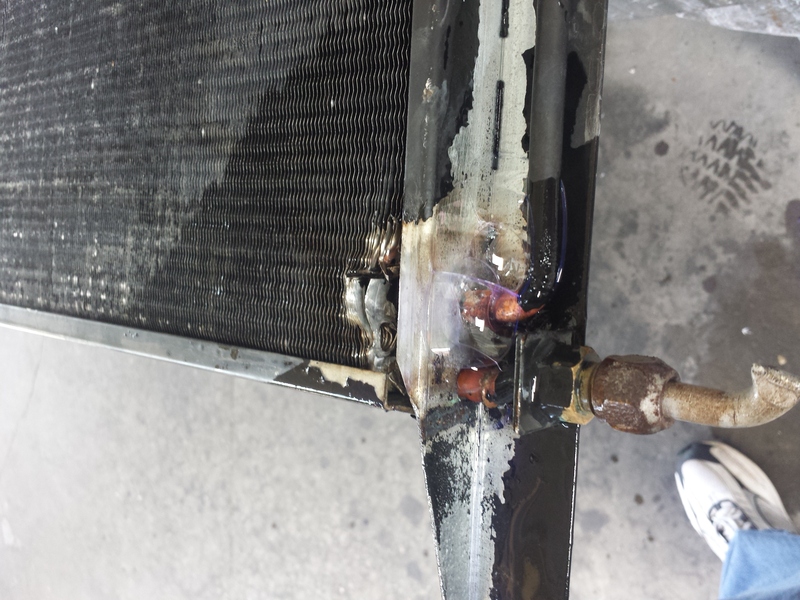 Wait…that condenser might be repairable! 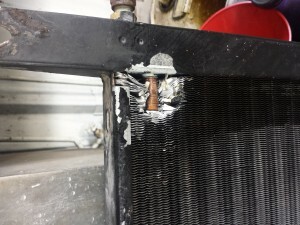 Did you know that your leaking copper condenser or evaporator might be repairable? 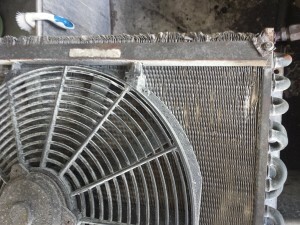 In most cases, aluminum or multi-flow condensers cannot be flushed or repaired. However, if your condenser or evaporator is copper, that is a different story. First, we pressure test the condenser and immerse it into water to pinpoint the leak. Soap can also be used to help pinpoint the leak’s exact location. 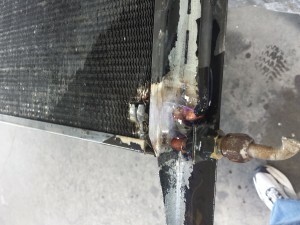 Once we determine exactly where the leak is, we can repair it by brazing the leaking area. Once repaired, we pressurize the core under about 300 lbs. of pressure and submerge it into water again. If there are bubbles when the core is submerged, we know the core is still leaking. We can also replace the ends if the fittings are damaged. This is something to consider before you purchase a new core.